What is Form I-130, Petition for Alien Relative? U.S. citizens, U.S. nationals, and permanent residents can file Form I-130, Petition for Alien Relative, to help a foreign family member gain permanent residence in the United States (green card status). Form I-130 starts the process of family-based immigration by establishing the existence of a relationship to certain foreign citizen relatives who wish to immigrate to the United States. The I-130 petition is also a request by the petitioner to reserve an immigrant visa for the family member. Depending on the type of relationship, this process can take just a few months or several years. 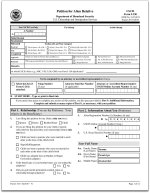 Filing Form I-130, Petition for Alien Relative, alone does not get a green card for your relative. It’s the start of the family-based immigration process to get a green card for your relative, and there is an advantage to filing as soon as possible. Filing an I-130 petition is used to prove a qualifying relationship with your relative and reserve a place in line for a visa number. Of course, there will be other individuals waiting to immigrate based on that same kind of relationship from the same country or region. When your relative reaches the head of the line, he or she may be eligible to immigrate. Some types of relatives will be granted a visa number quickly (almost immediately) and some types will have to wait (sometimes years). There are various factors including type of relationship, your status (citizen or permanent resident) and the country of origin. You can learn more in Family-Based Immigration in the United States. Your relative’s place in line will be based on the date you file your I-130 petition. Therefore, there’s an advantage to filing as soon as possible. While there is no waiting in line for immediate relatives of U.S. citizens, family preference categories generally have a wait. So if you naturalize while your relatives are waiting for visas, they may be able to immigrate sooner. The approval time for Form I-130, Petition for Alien Relative, can vary significantly. Even after USCIS approves the I-130 petition, certain intending immigrants will still have a long wait. To learn more, see what happens after filing Form I-130, Petition for Alien Relative.